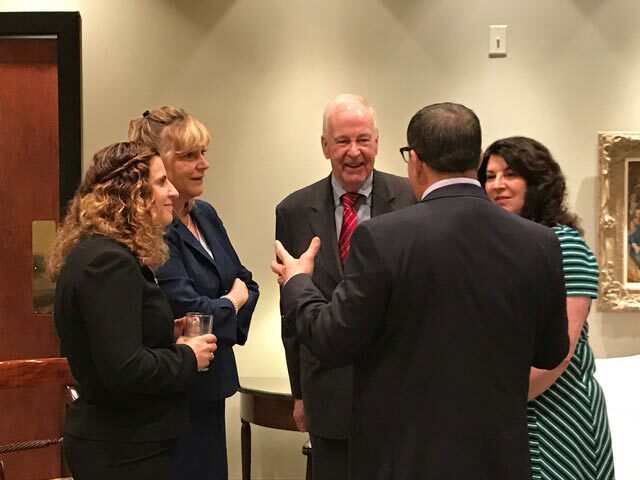 Shenker Russo & Clark (SRC) recently held a fundraiser at their office for Senator Kemp Hannon, Chair of the Senate Health Committee. Nearly 50 people attended the event. Pictured are Theresa Russo, SRC Co-Managing Partner, Jill Sandhaas, SRC Partner, Senator Hannon, Vicky Graffeo, Partner at Harris Beach, and Michael Trunzo, Director of Government Affairs at SRC.